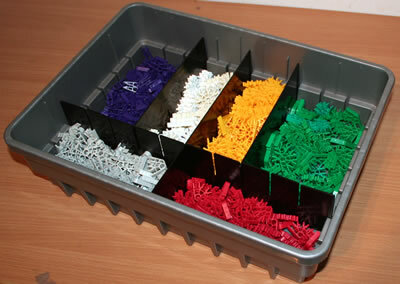 The photo on the left shows the pieces that are provided in the Classic K'NEX Sports stadium kit. Click on any photo on this page to zoom, and click again to see the full-size image. 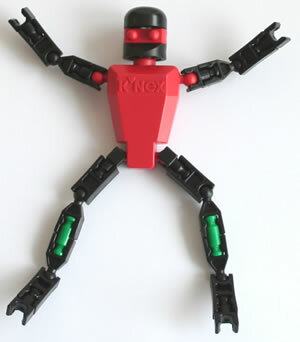 If you are not already familiar with K'NEX, we suggest you start by looking at our Handy Hint A2, which explains how to join K'NEX rods to K'NEX connectors. 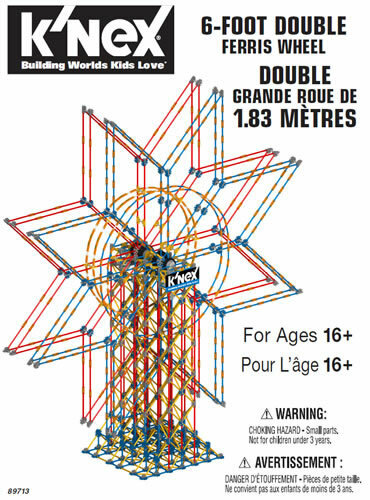 Please note that the stadium model makes use of "side-on" connections between orange rods and red or yellow connectors, as shown in the photo on the left. Younger children may need help making this type of connection, if their fingers are not strong enough.